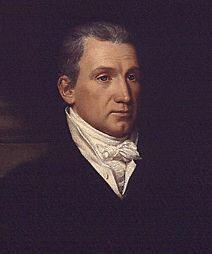 James Monroe was the fifth President of the United States and namesake of Monroe County, New York. Monroe served as president from 1817-1825. He was born April 28th, 1758 in Westmoreland County, Virginia and died on the 4th of July 1831 in New York City. Incidentally, Monroe was the third president to die on the 4th of July. Presidents John Adams and Thomas Jefferson had both died on July 4, 1826.